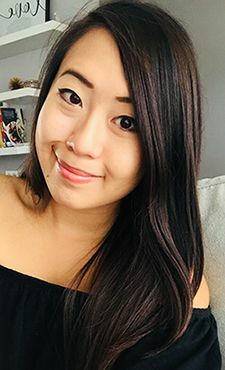 I'm a city girl through and through, but my love for gardening and growing my own food has always made me wonder what it would be like to live on a farm. I love learning about where my food comes from so when Sunworks Farm invited me out for a tour of the farm, and dinner featuring their products, I was more than excited for the adventure. 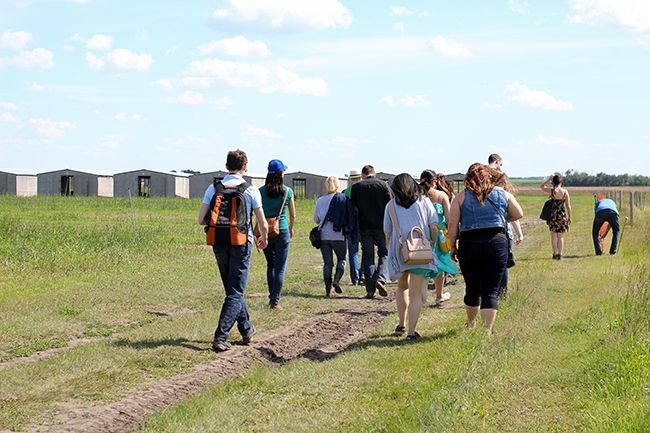 Sunworks' certified organic farm is located about an hour south of Edmonton near Armena. Ron and Sheila Hamilton moved to this current property in 1992 and worked hard to build their dream. 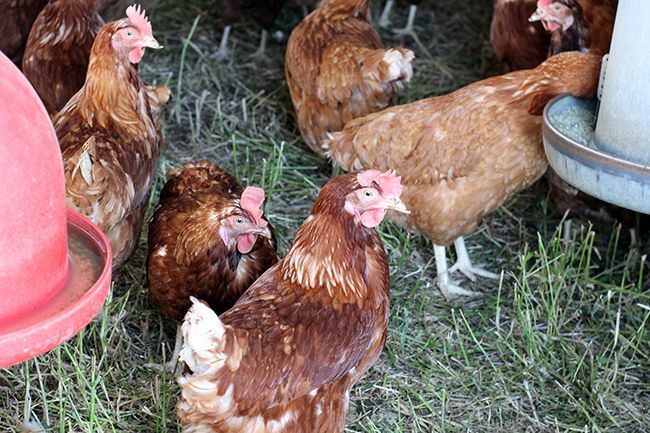 They have been raising chickens, turkeys, cows, and pigs organically since starting Sunworks in 1997, and the farm became certified humane in 2005. Isaac, the third partner in Sunworks' operations, became a partner in the last ten years. Under their current operations the farm raises 130 000 chickens, 3000 turkeys, 150 cows, and a couple hundred pigs year round. It isn't an easy feat, but Sheila, Ron, and Isaac's passion for organic, humane, and sustainable farming tells me that their work is truly a labour of love. 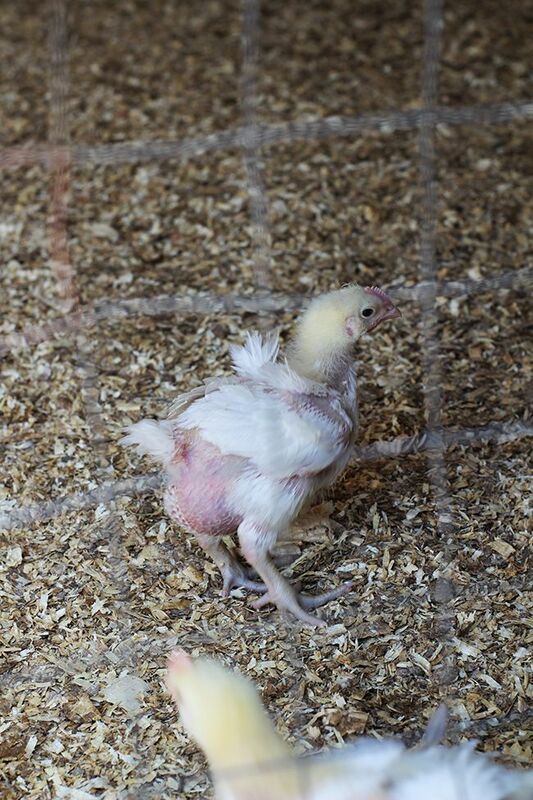 Our tour started with a stop at the shelter housing young chicks working hard on growing and gaining their feathers. 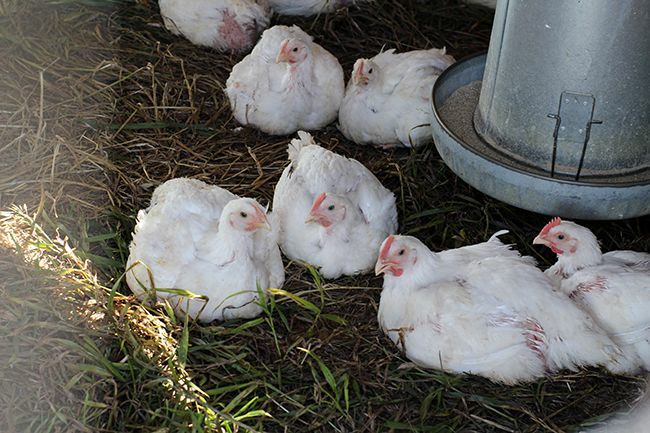 All chicks come to the farm within hours of hatching, which allows for their first meal to be at Sunworks. This ensures they are fed 100% organically for the duration of their lives. A quick walk around the corner brought us to the egg grading and washing station. 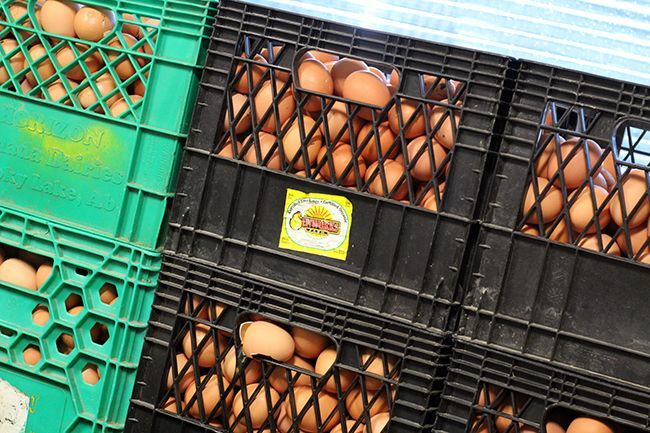 With a capacity for up to 5000 hens, Sunworks Farm produces 300 dozen certified organic eggs per day. Let that number sink in. That means the farm produces 2100 dozen eggs per week, and what's more impressive is that all the eggs are hand picked and hand washed. 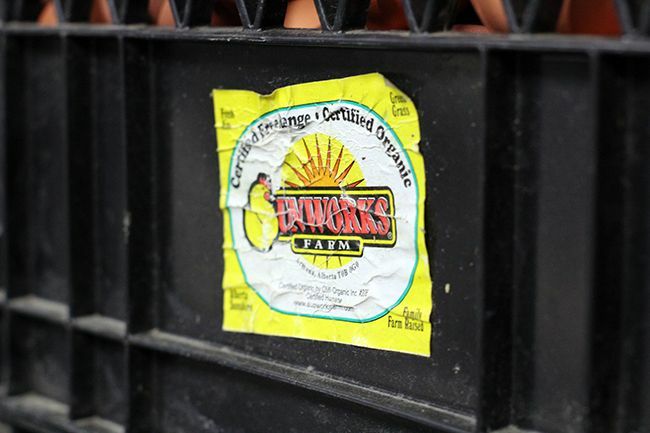 On most farms eggs are sent elsewhere for inspection, but Sunworks' station is registered, meaning the eggs are inspected and packaged on site in a clean environment under federal regulations. Cattle are fenced into a large area of pasture with fresh, tall grass where they graze. 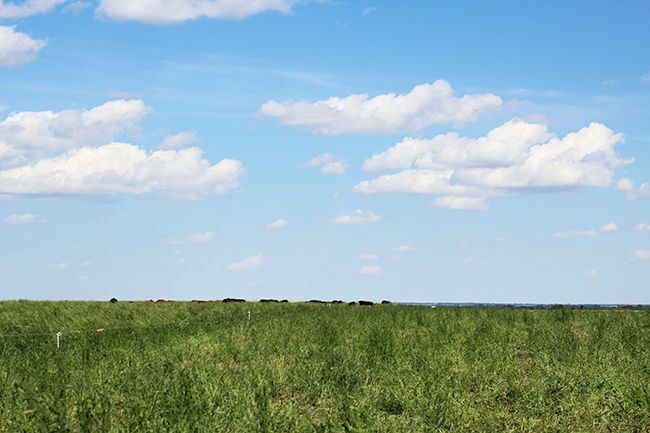 Over time the grass becomes shorter as the cows feed, they are then moved into a new area with tall, fresh pasture. The chickens are then moved into this area of shorter grass, which is comfortable for feeding. Essentially, the method mimics natural grazing patterns but allows the farmer more control over the area the animals graze in and prevent overgrazing. 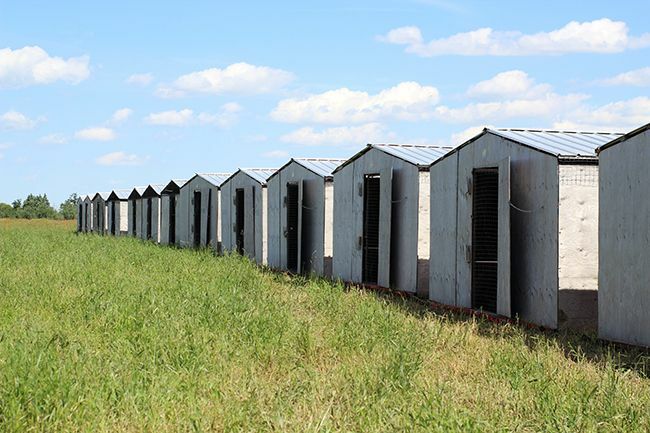 Across the field were the chicken shelters, and they were unlike any I've seen in the past. The shelters were open and very spacious - in fact, Sunworks must allot a certain square footage per bird in each shelter order to remain certified humane. 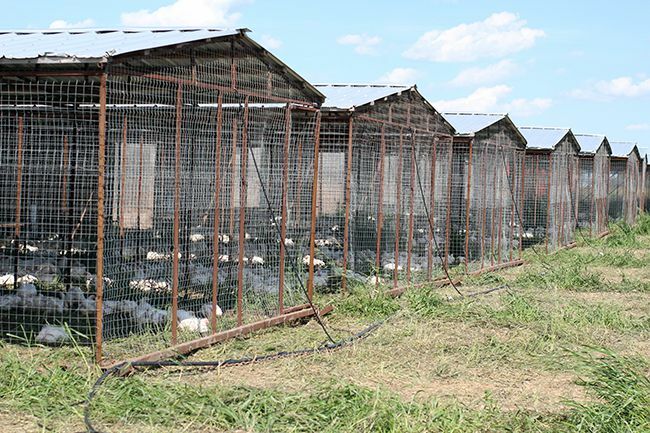 Although each shelter is home to about 500 chickens, there's no overcrowding and every bird has plenty of space to run around. The shelters were each fitted with a chain in the front to make it completely mobile. Each day the chain is hooked up to a tractor and the shelter is moved forward onto fresh grass for the chickens to graze. I'm no chicken expert, but if the birds singing and clucking away was any indication, I would say the chickens here are happy and really do live a fabulous life! Of course, given the weather conditions in Alberta the cows, chickens, and turkeys are moved indoors when the cooler temperatures return. In order to maintain production, the animals are fed alfalfa meal and hay to maintain their organic grass-fed diets. 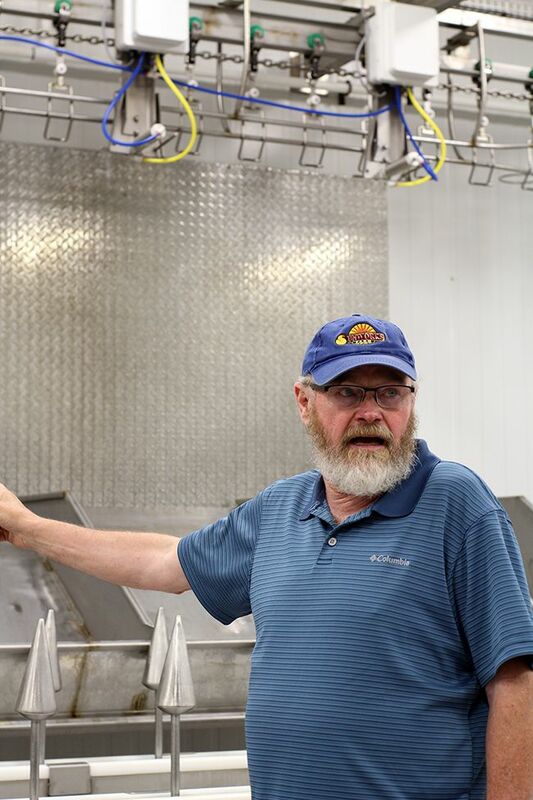 One of the newest additions to the Sunworks farm is their on-site processing facility. After a period of time sending their animals to be processed off site, Ron and Sheila felt that in order to treat their animals humanely they needed to do the processing themselves. It's no surprise as Ron and Sheila are both such kind, compassionate individuals, but I think it's pretty amazing that Sunworks is committed to treating the animals so well even at the end of their lives. They make sure every part of the animal is used, including the bones, feathers, and offal. The facility is also incredibly clean - it takes up to 16 hours for a full post-processing clean! At Sunworks Farm processing is done every Tuesday. 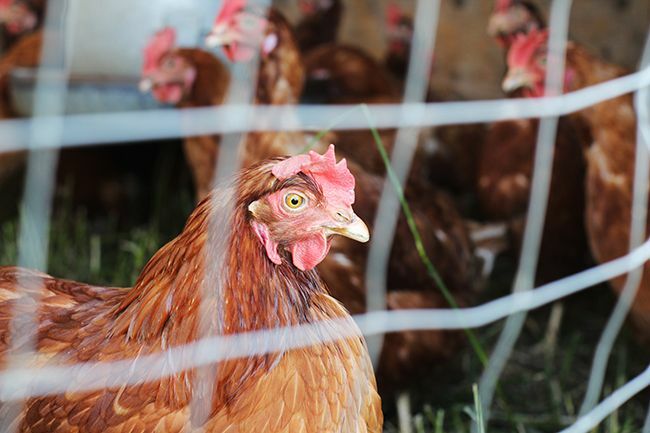 Anywhere between 2500-3500 birds are processed and a government-issued inspector is on site ensuring each and every chicken is up to standard before being packaged and sold. Thursdays are saved for sausage production - if you haven't tried a Sunworks chicken sausage, put it on your to-do list! Sunworks' sausages are some of the best I've had - they're juicy, flavourful, and have a fantastic aroma when cooked. It's no surprise, though, as the sausages are 95% chicken and 5% organic spices. No fillers, just great ingredients. To end our day on the farm we were treated to a delicious five course meal courtesy of Chef Kevin Zellweger of the Quarter Section Food Co. based out of Camrose. 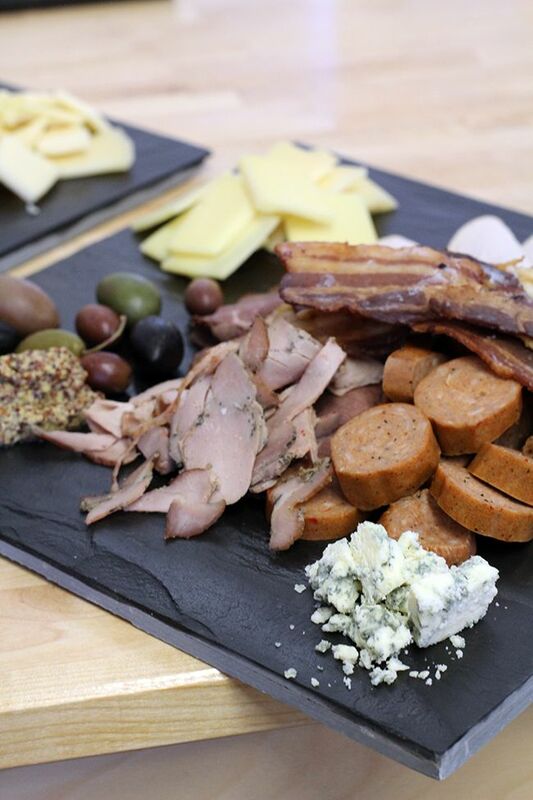 Our meal started with a charcuterie board featuring meats and sausages cured by Sunworks and an assortment of cheese from Alberta's own Sylvan Star Cheese. 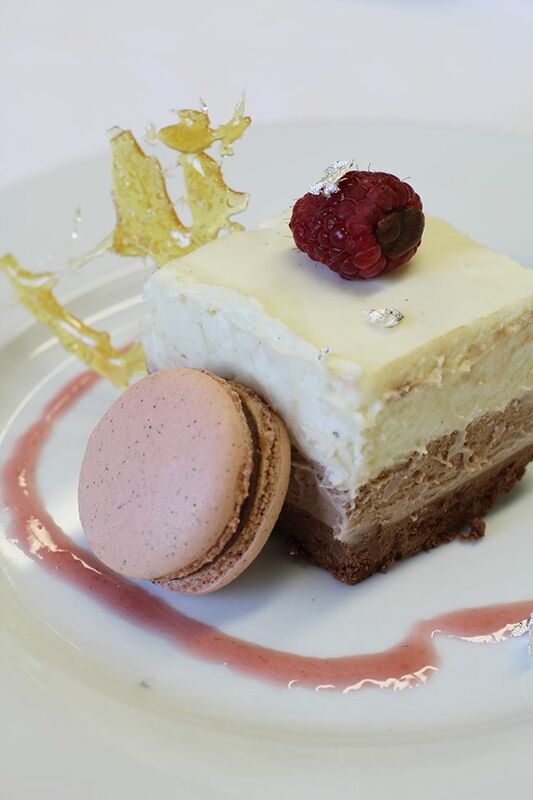 Our meal continued with a light salad, confit chicken leg with risotto, and a beautiful gluten-free beef wellington before digging into our triple chocolate mousse cake for dessert. We were certainly well taken care of that evening, just like the animals on the farm. The trip out to Sunworks Farm was an eye-opening experience. It really put into perspective the different farming methods that exist and how important it is to support the producers that align with your own values. Ron, Sheila, and Isaac truly care about organic and humane farming methods and are able to produce exceptional products without compromising their values. Taking into account the amount of work and passion that goes into raising animals can make supporting local producers that much more meaningful. 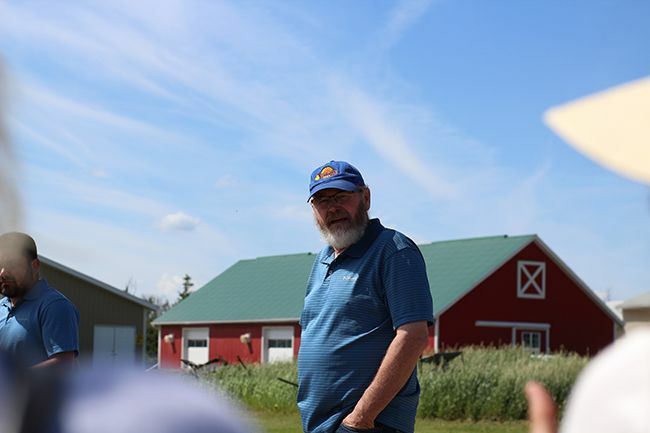 A big thanks to Sunworks Farm for bringing me out to the farm and sharing their story! It was a lovely day and a great reminder of why it is important to support local! If you're also interested in learning about where your food comes from, check out Alberta Open Farm Days next month! *Disclosure: I was invited to Sunworks Farm for a tour and dinner in exchange for a blog post. Views expressed in this post are solely mine. This post is 100% my opinion, and as always, my priority is to you, the reader, to present an unbiased, thorough review.